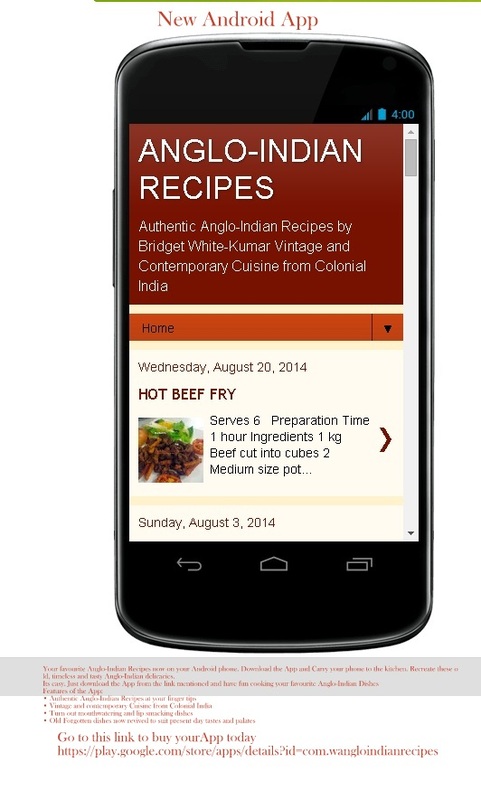 Your favourite Anglo-Indian Recipes now on your Android phone. Download the App and Carry your phone to the kitchen. 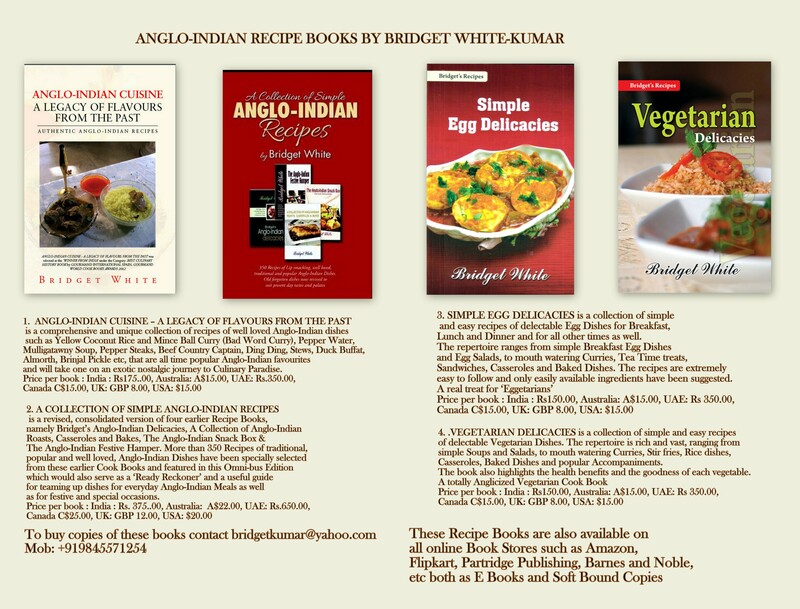 Recreate these old, timeless and tasty Anglo-Indian delicacies. 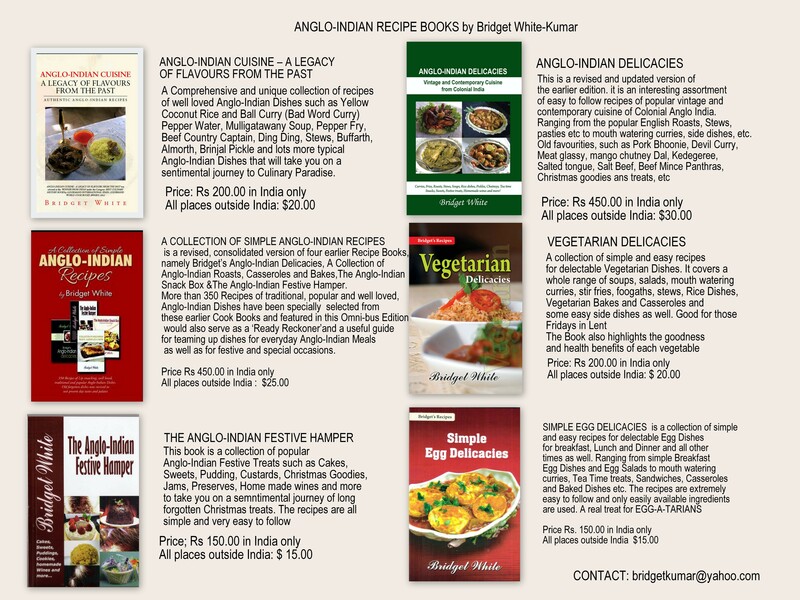 Anglo-Indian Recipes – an unique collection of easy-to-follow Recipes of popular and well loved Anglo-Indian dishes. The repertoire is rich and vast, ranging from Roasts, Cutlets, Croquettes, Pasties, etc, to mouth watering Curries, Side Dishes, Spicy Fries, Foogaths, Biryani and Pilafs, Pickles, Chutneys etc, picking up plenty of hybrids along the way. The sumptuous Anglo-Indian dishes such as Yellow Coconut Rice and Mince Ball (Kofta) Curry, Pepper Water, Mulligatawny Soup, Grandma’s Country Captain Chicken, Railway Mutton Curry, Dak Bungalow Curry, Crumbed Lamb Chops, Ding Ding, Stews, Duck Buffat, Almorth, etc, which were very popular in the olden days will take one on an exotic nostalgic journey to Culinary Paradise. The site appears to be a book publishing PR site. There are Receipes but these should be batched, so someone like me can go to them and experiment.